Jackie Cooper Barr, 80, of Council, passed away on Monday, February 25, 2019. He was preceded in death by his grandfather: Daniel Columbus Barr and grandmother: Saphronia Ella Helms Barr. 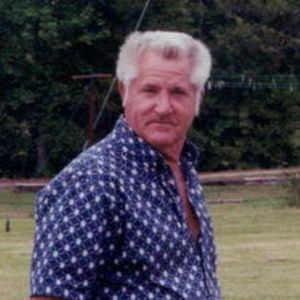 Jackie leaves behind his spouse: Cynthia E. Barr of the home; two sons: Jackie Barr, Jr. and Danny Barr, both of Fayetteville; four daughters: Candace Barr of Hope Mills, Dawn Vargas of Fayetteville, Melissa Barr of Council, Beth Barr of Bladenboro; ten grandchildren and seven great-grandchildren. Jackie enjoyed horses and mustang cars. He also loved to eat. His favorite saying was "Eat, Drink and Be Merry today because tomorrow we might not be here." The family will receive friends from 7-9pm on Thursday, February 28th at Bladen-Gaskins Funeral Home in Elizabethtown. A funeral service will be held on Friday, March 1st at 3pm with Pastor Jay Barr and Rev. Anthony Carstarphen. Burial will follow in the Western Prong Cemetery in Whiteville.